Bought as a replacement when the phone casing cracked a broke on my previous Snakehive wallet. Very glad to see the casing is now clear and flexible- looks better and expect more durability. I love these wallets. Very smart and practical. Room for cards phone and emergency cash - what more do you need! Nice case fits well, gift was pleased would recommend. Great quality leather case. Phone held in gel holder. All features still available on phone. Very happy customer. I love this cover. It’s my second flip one from Snakehive. I dropped the first a few times with the phone in it and it protected it until the case got damaged. This case is better as more secure in its fitting. Love the look as it looks really smart in and out of handbags and sitting on the side. A lovely cover fits perfectly, however, the corner by the camera lens does easily get bent over if not kept flat. Really nice quality and finish. Only had for a few days so will be interesting to see how long it lasts compared to cheaper cases. Very nice looking case and seems to be on good quality leather. There fit to the phone is fine. The slots for the credit cards are really too short, making the cards a very tight fit. 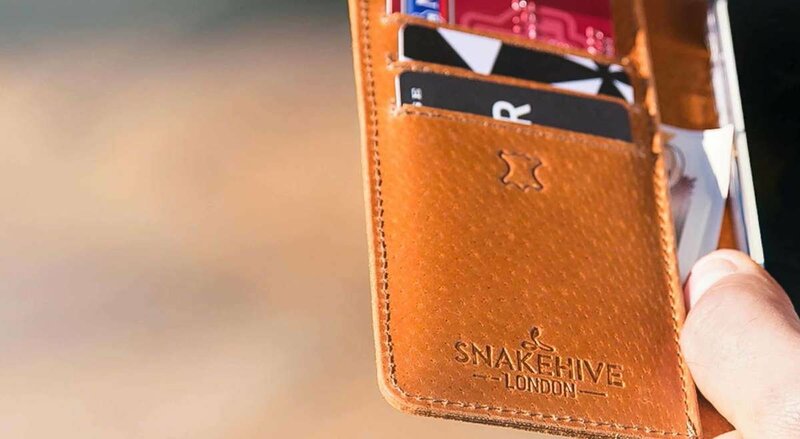 Also, the "pockets" behind the credit card slots contained a lot of residual dressing or glue, which made the cards sticky and therefore even more difficult to get out. I had to resort to using a tissue soaked in methylated spirit to clean the inside of the pockets, pushing the tissue into the corners with a knife blade. I suggest that Snakehive need to look again at the size of the slots and at whatever is causing the "stickiness". Arrived quickly, and looks great. Hopefully it will wear well. 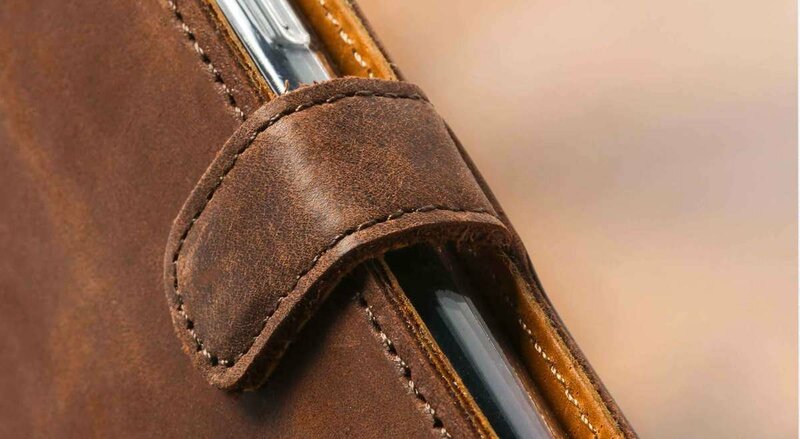 Beautifully crafted real leather case. Perfect fit for iPhone 5S. Good magnetic closer. Card facility works really well for up to 3 cards. Came with a complimentary cleaning cloth for phone's screen. Great to have an English quality product that really works well. Highly recommended. Although, the case is really attractive to look at, unfortunately it doesn't do its job to the same degree. The phone is prone to 'popping' out and also mutes the ringer when phone is unlocked. Disappointing ! I love this case, but it is really easily marked. Already within 2 weeks the plum part is very scratched and the black suede/nubuck is marked. It still looks ok in a vintage style but I just don't think it will survive as long as my last case. This new two tone style is great! Beautiful craftsmanship and materials. If only I had more phones! Snakehive advertise exactly what you get. Fast delivery. Excellent price. This is a very high quality product, and when price is considered, it is excellent value. Apart from this I would like to congratulate your staff on perhaps the best customer care I have encountered recently. All as per the description - good quality item and very good value. Very pleased. Love it, really good quality.